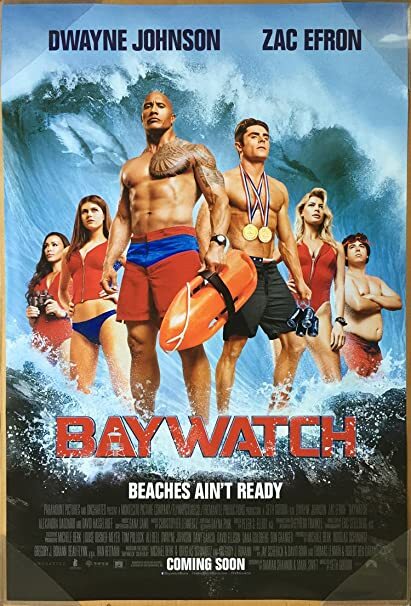 Movie Review: Baywatch – Random. Structured. Haphazard. All Me. You will never get back those 116 minutes that the movie runs. You will wonder why The Rock would pick the role of Mitch Buchanan over other roles where he can be the macho up to the gills and still not be a part of a gag reel. Zac Efron has weird ears, cannot emote and has bulked up. That’s it. Priyanka Chopra is sashaying her way a la Bollywood movies and ending every sentence with an “already” and trying to look seductive, alluring and femme fatalish. None of which works. She should stick to Dil Dhadakne Do-type roles. Alexandra Daddario- has a perplexed look on her face the entire time and seems to be confused half the times that she’s on a beach and would actually have been perfect for the role played by Pam Anderson in the teleseries. The rest of the cast kind of meanders through the movie, using the F word liberally and acting like a bunch of goofballs playing at being crime fighters. They also keep calling each other ‘brah’…as if! If you’re ok with “junk jokes”, people looking toned, anned and botoxy lips and have no effs to give then this movie might even end up being entertaining. But hey, I watched the entire Sharknado series so who am I to be a critic?